We're a luxury brand with a twist. Made from real vegetable-tanned leather our covers feel great, smell good and wear beautifully. If you want your notebook to lie flat, bend the book back on itself. It can take the strain; they're both strong and flexible. 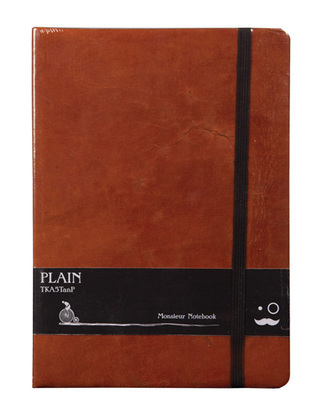 Each of our notebooks is handbound in India, providing fair wages and sustainable jobs. Plain 90gsm Ivory. Brown, tan or black.